When geniuses get together, the result is Echo. 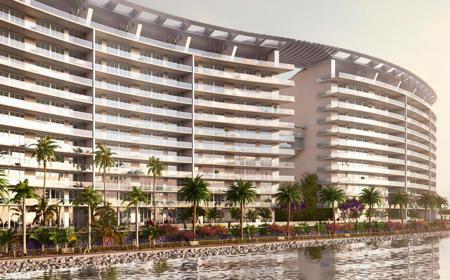 An architectural masterpiece and a residential paradise located on the last five acres of Aventura's waterfront. This intimate luxury retreat has redefined the city’s lifestyle. The sophisticated and remarkable conceptual design by Carlos Ott and stunning interiors by Yabu Pushelberg, set an imaginative destination for the most cutting-edge living experience. 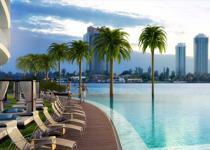 190 luxury residences on 5 acres of Aventura's waterfront. World class architecture by Carlos Ott + Yabu Pushelberg interiors in a first-time collaboration. All private elevator access. 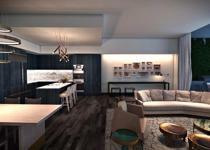 Residences equipped with private service suites. 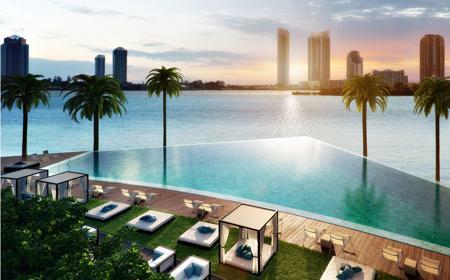 Bayfront infinity-edge pool with views of the Atlantic Ocean. 4,000 square foot fitness center with state-of-the-art gym and yoga room. Resort-style poolside service/breakfast and lunch clubroom. Private cooled storage space for all. Two private porte-cochere entrances. Atrium event room with floor-to-ceiling windows accessible by dedicated glass elevator. Exceptional concierge services. Custom interiors by Yabu Pushelburg. Apple® home technology included in all residences. 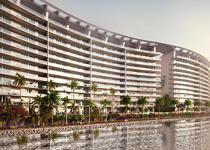 Floor-through residences featuring unobstructed water views. Each residence offers a bayfront terrace with summer kitchen. 18 penthouse residences with private rooftop terraces and plunge pools. Private elevators and foyers. 10’ ceilings slab-to-slab with floor to ceiling windows. Spacious residences with great room, family room, dining room, and breakfast nooks. Private service suites with bathroom. Individual unit access by high-speed elevators. Wolf Gas Stoves and custom hood. Side by side paneled SubZero/Wolf appliances. SubZero Duel Temperature Wine Storage. Built-in coffee and espresso machine. Midnight bar in the master suite. Oversized soaking tub. Grandmaster his and her walk-in closets. All residences come equipped with a contemporary lighting package, including recessed lighting, dimmers, and Lutron lighting control. Custom Italian cabinetry, built-in SubZero/Wolf appliances, and exquisite stone countertops. An unprecedented level of efficiency through a smart home technology experience. Includes integrated audio, video and lighting systems controlled by Apple devices. 24-hour concierge service. 24-hour valet service & covered self-parking. Daily continental breakfast for all residents. Pet walking services for all residents. Personal poolside service. Carlos Ott is a Conceptual Designer with forty years of outstanding experience in the design of construction projects. Recognized internationally as one of the leading design architects, Carlos Ott has been awarded numerous International prizes and awards of merit over his illustrious career. Yabu Pushelberg is a Canadian interior design firm run by duo George Yabu and Glenn Pushelberg, who were named two of the “101 People You Must Meet in 2011” by Town & Country magazine; they have been awarded “Hot Interior Design Firm” by Conde Nast Traveler magazine and are on Elle Décor’s “A-List”. 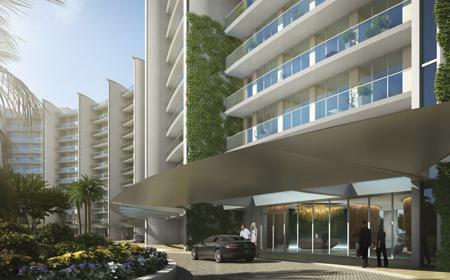 Echo Aventura is brought to you by a joint venture between JDS Development Group and Property Markets Group. Founded in 1991 by Kevin Maloney, Property Markets Group (“PMG”) has direct hands-on experience in the acquisition, renovation, financing, operation, and marketing of commercial and residential real estate. A development firm of national scope, PMG has over 150 real estate transactions including over 80 residential buildings in Manhattan during its 20-year history. PMG has distinguished itself over the last decade for its development of new construction condominium developments in Florida, New York City, South Carolina, and Chicago.